You might be enjoying a glass of wine or beer and don’t pay much attention to the food or snacks you pop into your mouth before or after each sip. Sometimes that may be just fine and the pairing works out okay. But have you noticed a bite of cheese may have tasted much better with your drink than, say, that chocolate cookie you also had on your plate? Cheese and wine bring out the best in each other. The protein in cheese softens the tannins in wine, and the right combination can result in a harmonious medley of delicious flavors. It’s similar to the way milk and cookies make a great match while cookies and grapefruit juice, for example, could leave you with a bad taste in your mouth. When you are selecting wine or beer and cheese to pair, look to have flavors either contrast or complement. Contrast strong blue cheese with sweet port, for example or complement creamy, buttery Chardonnay with creamy, rich Brie. And the rich layers of flavor in beer work in much the same way as wine when pairing with cheese. 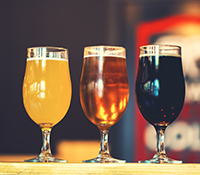 In general some beers that pair well with cheese include amber, lager or fruit beers. With some experimentation, you might take it to the next level and discover how toasty notes in Märzen pair with toffee notes in aged Gouda, or find that triple-cream cheese mellows a stout. It’s fun to discover your own pairings, experimenting with those contrasting and complementary pairings. And some natural combinations make reliable palate pleasers. There are many variations, but in general there are certain categories that work better together than others. Hard, mild cheeses pair well with most white wines and light reds. Hard, mature-flavored cheeses pair nicely with fuller white wines and light reds. Soft, bloomy-rind cheese makes an appealing partner with full whites, light and medium reds or fortified wine. Blue cheese pairs well with sweet white wines, full-bodied reds and fortified wine. Goat cheese pairs well with fuller whites, medium reds, sparkling wine and fortified wine. Avoid oaked wines. Of course, there are many matches to choose from and you may want to play the field-but you might find one you would like to settle down with. The most important thing is to relax and have fun and enjoy the harmony of flavors. 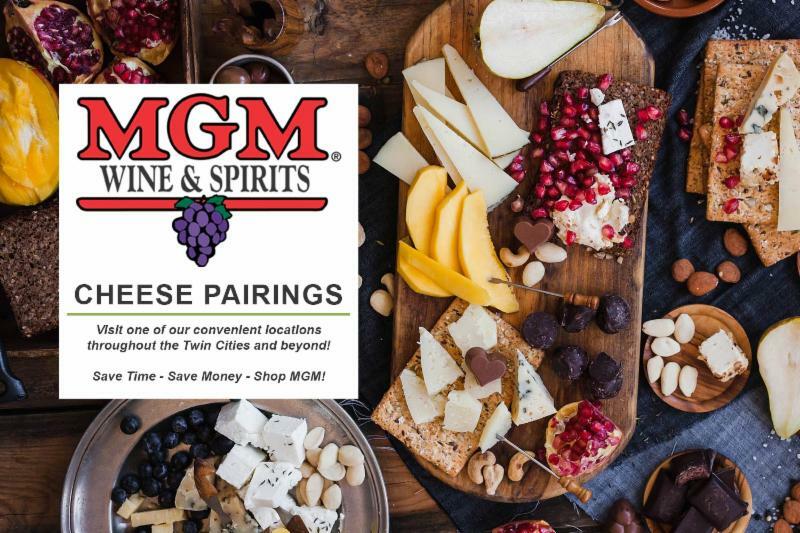 Hosting a wine or beer and cheese party is a fun way to enjoy your favorite pairings as well as to sample new combinations. In general, plan on four ounces of cheese and three ounces of crackers or crusty bread per person. Olives, nuts and fruit are good choices for additional tasty tidbits. And if you would like to bring some of these elements all together in a cheesy beer dip, which is always a hit, see the recipe below. With 631,955 barrels, Minnesota ranked 12th nationally in the number of barrels of craft beer produced per year in 2015, according to the National Brewers Association’s most recent statistics. With new calculations to be revealed soon, that number could likely increase as more breweries have opened, producing even more barrels of delicious brew. In a mixing bowl, mix the two cheeses together with the flour, making sure that all three ingredients are fully incorporated. Set aside. In a medium saucepan, add olive oil and heat on high until it starts to smoke. Immediately add onions and sauté until light golden brown. Season sautéed onions with garlic powder, chili powder, salt and pepper and stir until mixed. Deglaze the pan by adding beer, Worcestershire and Sriracha. Bring to a boil and then add the cheese and flour mixture one quarter at a time, and stir constantly to ensure that most, if not all, of the cheese is melted before adding the next batch. Serve very warm with crackers, pretzels, tortilla chips or bread. 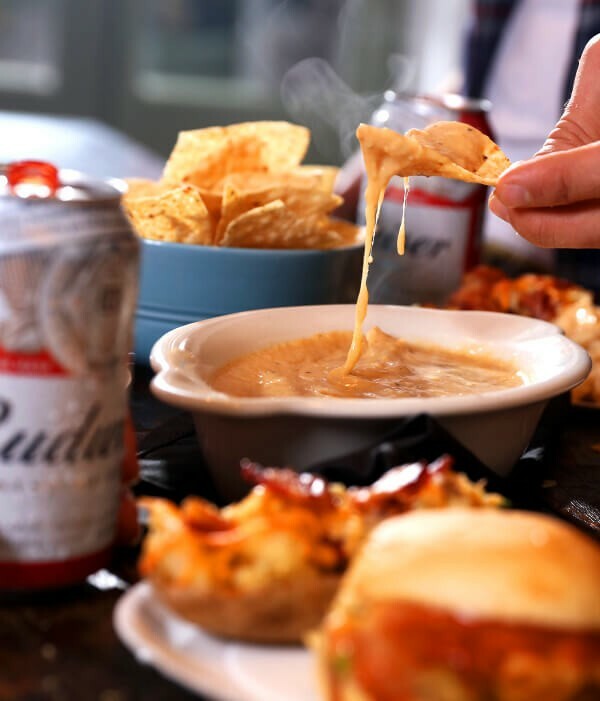 Recipe and photo courtesy of Anheuser-Busch, Budweiser Beer.